· The XL Large Bird Cage Budgie Canary Finch Parrot Birdcage has an elegant design with a curved roof design, and will look attractive in your home while providing your small birds with a safe living environment. · The cage features a slide out litter tray in the base to make cleaning the cage easier. · Inside the cage has three movable wooden perches and a hanging perch, as well as four feeding bowls. 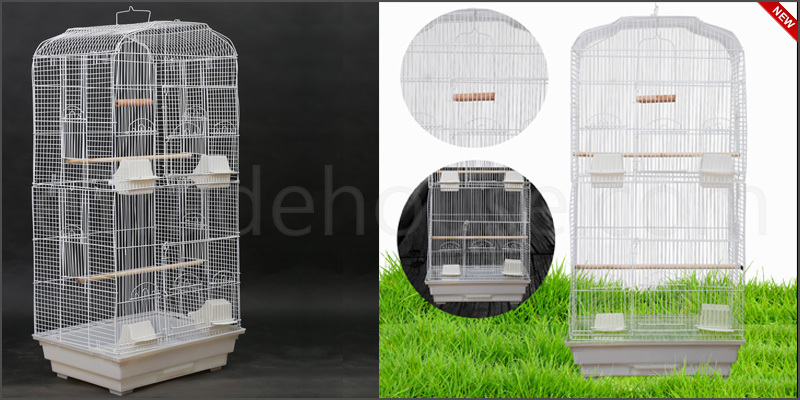 · This spacious cage is suitable for multiple types of small birds, including budgies, cockatiels, lovebirds and parakeets. · The cage features 2 large openings for easy access as well as 8 smaller sliding doors. · The bird cage also comes with a carry handle for easy transportation. · Material: Metal and Plastic.